"A synthesis of the harvest is one of the most natural gestures of our existence." 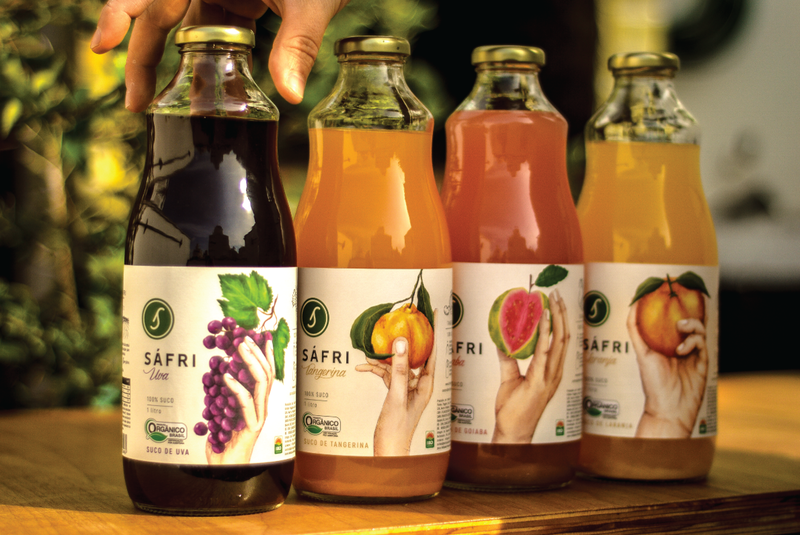 We design the visual identity and juice packaging for Sáfri Organic brand. 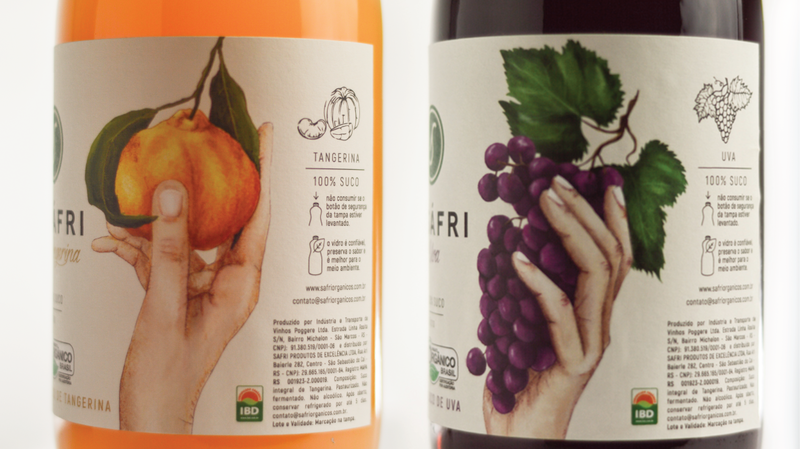 Graphically the packaging illustrates the harvest of the fruit, which is one of the most natural processes of our existence. During the development of the slaughter, other elements that were not directly relevant to the "harvesting" were eliminated. We seek to graphically represent responsibility for our food and care for the planet. In the packaging the paper is FSC® certified and the glass is reused by the recycling industries. The illustrations were made by our partner Mariana Sartori. We seek to unite the human form with the fruit, bringing questioning about our food, resuming the natural production and less aggressive to the soil. Juices and other branded products are organic and sustainable. We use paper obtained through reforestation and properly certified, we seek to use as little material as possible. The printing was done through a digital equipment, avoiding emission of pollutants and adjustments where large volumes of paper are discarded.